Taking the stage at the glitzy Mayflower Hotel in Washington last November, Environmental Protection Agency Administrator Scott Pruitt casually quoted the New Testament as he recited his pitch for reimagining the role of the country’s top environmental regulator. Rebekah Mercer, the billionaire GOP megadonor and financier of anti-abortion groups, Christian colleges and climate change denial think tanks, bankrolled the confab, according to the brochure. Brent Bozell, founder of the right-wing Media Research Center, opened the program as the master of ceremonies before Pruitt gave his roughly four-minute speech in acceptance of an award for “human dignity leadership.” The Rev. Thomas Joseph White, a professor at the Catholic Pontifical Faculty of the Immaculate Conception, followed him with an invocation. This was Pruitt’s hometown crowd. Until 2017, he had served on the board of trustees at the Southern Baptist Theological Seminary in Louisville, Kentucky, an institution that called for “a wife is to submit herself graciously” to her husband and formally opposed “all forms of sexual immorality, including … homosexuality.” The bio on Pruitt’s now-defunct official Twitter account as Oklahoma’s attorney general reads: “Husband, Father, Christ Follower.” He been attending Bible studies with Vice President Mike Pence and other Cabinet secretaries since shortly after taking office at the EPA last year. While Pruitt’s penchant for rolling back environmental regulations and bolstering the fossil fuel industry is widely touted as the reason President Donald Trump has refused to fire the EPA chief amid a four-week whirlwind of ethical and spending scandals, that largely overlooks Pruitt’s other asset: His reputation as a zealous crusader for conservative Christian politics. Neither the White House nor the EPA returned requests for comment. White evangelicals overwhelmingly support Trump’s job performance, at 61 percent in a December Pew survey, compared to just 32 percent of voters overall. Still, that marks a significant decline from the 78 percent approval in February 2017. Among nonwhite evangelicals, his approval rating plummets, according to a FiveThirtyEight analysis. Pruitt has played an outsize role in courting leaders on the evangelical right. In September, Trump hosted a dinner with “grassroots leaders,” including evangelical heavyweights such as Concerned Women for America CEO Penny Nance, Faith & Freedom Coalition Chairman Ralph Reed and Tim Goeglein, a vice president at Focus on the Family. In a photo posted to the White House website, Pruitt appears at the table opposite Trump, the only Cabinet secretary in attendance, though his name is not listed in the caption. As Pruitt’s scandals mount, Christian groups have rallied to defend him. On April 6, the Conservative Action Project published an open letter calling for Pruitt’s “continued tenure at the EPA” and thanking him “for the significant actions he has taken to implement President Trump’s deregulatory agenda.” The list of 186 signatories included Christians for a Sustainable Economy Executive Director David Kullberg, Christian educator Lisa Calvert and Faith Wins President Chad Connelly. Some of the religiously affiliated signatories, such as Anne Schlafly Cori, chair of the “pro-family” Eagle Forum, have a history of backing climate change denial efforts, according to research compiled by the nonpartisan Climate Investigations Center. White evangelical Christians, more than 80 percent of whom supported Trump in 2016, are the least likely of any religious group in the U.S. to understand the science behind climate change, according to 2015 data from the Pew Research Center. Just 28 percent of white evangelicals believed the planet is warming primarily due to human activity, compared to 41 percent of white mainline Protestants and 56 percent of black Protestants. About 37 percent of white evangelicals don’t believe the climate is changing at all. Pruitt hasn’t been shy about proselytizing that view. Last October, Pruitt invoked God’s warning to pagans in the book of Joshua to “choose this day whom you will serve” in a speech announcing a new policy barring scientists who receive EPA research funding from serving on the agency’s advisory boards. The statements have rankled EPA workers. “Knowing that the man I work for every day not only disrespects the agency’s mission but also believes that I, as a pansexual woman, and many other EPA employees … are ‘perversions’ in his belief system, is a heavy weight I feel each day at work,” she said. Though Pruitt’s reputation for piety may help protect him for now, Bean cautioned that it may not filter down to ordinary evangelical voters. Pruitt’s legacy could alienate him from moderate evangelicals. Ronald Sider, a professor at the Palmer Theological Seminary in Pennsylvania, called Pruitt’s lead role in pushing Trump to withdraw from the Paris climate accord one of the administration’s “really big, longer-term negative policies,” and said the administrator’s failure to take climate change seriously will define his tenure for years to come. Trump suggests scrapping an undemocratic institution to which he owes everything. The president knows nothing about much of anything, and cares less. He is President Fox News Grandpa, the low-information voter we elected to make some of the most complex, nuanced decisions facing any human being in the history of the world. Donald Trump has no area of expertise and very little in the way of intellectual curiosity, but he does have a bottomless faith in the power of his own gut instinct. Sometimes, this has disastrous consequences. Sometimes, it is seriously hilarious. Of course, Trump is president solely because of the Electoral College, an anti-democratic anachronism that has outstayed its welcome by at least a half-century. He lost the popular vote—which he wants to switch to—by nearly 3 million. Then again, he claims 3 million people voted illegally in California alone. There is zero evidence of that, but plenty of evidence it’s a deranged lie borne of crippling insecurity that he is not a truly legitimate president. trump tweet: Campaigning to win the Electoral College is much more difficult & sophisticated than the popular vote. Hillary focused on the wrong states! Of course, even when you dive into the details of his Electoral College win, the numbers aren’t exactly pretty. Trump won the three key states in 2016—Michigan, Pennsylvania, and Wisconsin—by a combined 77,000 votes, a razor-thin margin. But thanks to the ludicrous Electoral College system, he received all of their 46 combined electoral votes. This is why the system is so undemocratic, along with the fact that it makes some citizens’ votes count for more than others. Because only a small group of “swing states” are up for grabs, the residents of other states are largely ignored and have little impact on the outcome. If it were a popular vote, the vote of a Texan or a Californian would be just as valuable as an Ohioan—and turnout might even be higher as a result. To a lesser extent, the votes of those that live in more sparsely populated states count for more than those of others. A state’s electoral vote count is its number of senators and congressmen combined. Since all states get two senators regardless of population, this means citizens of densely populated states have at least slightly less electoral power than those of sparsely populated ones. Montana has just over a million residents and two senators. California has 39.5 million residents…and two senators. That means each Montanan receives far more representation by percentage in the Senate—and by extension, the Electoral College. That was actually an explicit goal for the Founders: representatives of rural and less-populated states, mostly in the southern colonies, were wary of being dominated by densely populated states, most of which were in the north. The compromise was to have a House of Representatives tied closely to population, but equality among states in the Senate. All this is to say that, contrary to Trump’s shtick, the Electoral College is not some game devised to make it easier for Democrats to win elections. In fact, it’s closer to the opposite: In the five presidential elections since 2000, Republican candidates won the popular vote just once—but won the presidency three times. If Trump wants to blow that up out of some very on-brand combination of ignorance and hubris, American democracy stands to benefit. A broken clock, twice a day, et cetera. Despite decades of fierce resistance from Democrats and conservation groups, pro-drilling Republicans were able to realize their goal of opening the refuge after quietly including the measure in last year’s Tax Cuts and Jobs Act. 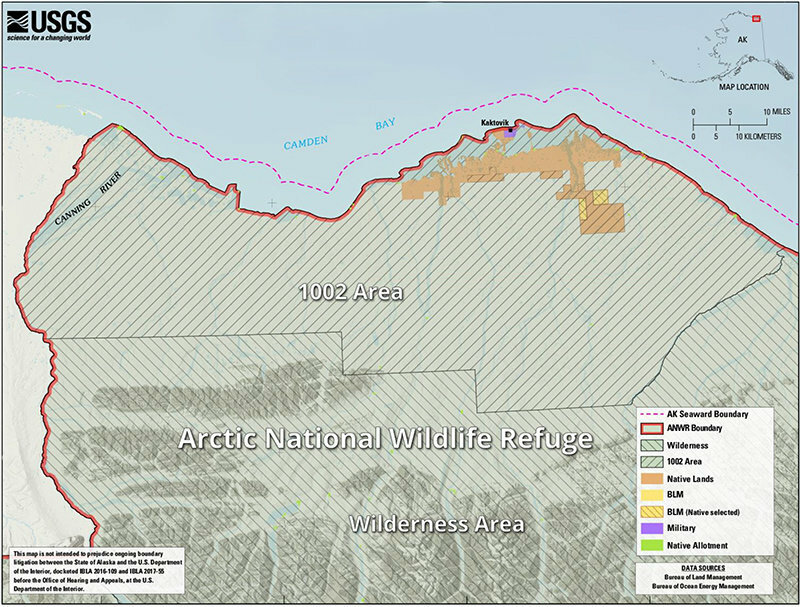 The sale targets the 1002 area on the Prudhoe Bay in Northern Alaska, which has an estimated 12 billion barrels of recoverable crude. 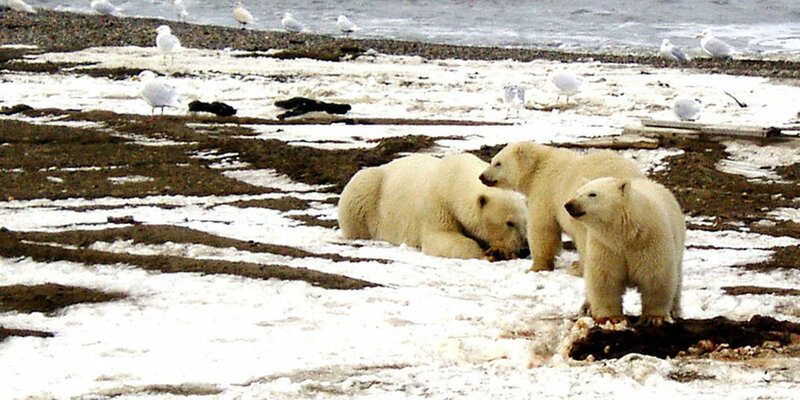 The area is described by the Sierra Club as “the biological heart” of the Arctic Refuge—home to polar bears, caribou, migratory birds and other species—as well as vital lands and wildlife for the subsistence way of life of the Gwich’in Nation. Environmental groups condemned the plan, calling it “shameful” that it would be published just before the eighth anniversary of the Deepwater Horizon oil spill in the Gulf of Mexico, the worst environmental disaster in U.S. history. “This scoping process begins the first step in developing a responsible path forward. I look forward to personally visiting the communities most affected by this process and hearing their concerns,” Balash added. In February, President Trump spoke about his indifference on the matter until an oil industry friend told him that past presidents, including conservative icon Ronald Reagan, couldn’t get drilling done. He then directed lawmakers to put the provision in the tax bill. This article originally appeared on the History News Network. The scandals surrounding President Donald Trump are metastasizing rapidly, much more than anyone would have thought just a few months ago. The investigation by Robert Mueller, now 11 months in duration, has been accumulating evidence of possible Russian collusion, obstruction of justice, abuse of power, violation of the emoluments clause of the Constitution, and the corruption surrounding many members of the Trump circle, including his own children and his son-in-law, Jared Kushner. But then the Stormy Daniels scandal, and other related shameful episodes involving other women became part of the equation, and the business dealings of Donald Trump in New York State were added to the complicated situation. And now, the seizure of materials and records of Trump personal lawyer Michael Cohen raises the ante on the troubles and turmoil surrounding Donald Trump. At the same time, Trump is without stable advice from his cabinet or others, due to the chaotic nature of a constantly changing set of advisers, and his tendency to “shoot from the hip” not only in tweets, but in constantly evolving views on domestic and foreign policy challenges. With the midterm congressional elections now less than seven months away, and with the Republicans running scared about potential massive losses, and with more criticism emerging from not only respectable conservatives, but also from some of his own loyalists, Donald Trump’s time in the Presidency seems rapidly coming toward a sudden end. While Republican members of Congress look unlikely to abandon him before the midterm elections, it could still happen if Donald Trump fires Robert Muller, Rod Rosenstein, Jeff Sessions, and others, a constant threat. New indictments by Mueller, and the possibility of such action by the New York State Attorney General Eric Schneiderman could be in the offing very soon. And if Trump family members were to be indicted, it could put Trump under such pressure that possible resignation, through some form of arranged “deal,” is not beyond imagination. If the Democrats win control of the House of Representatives in November, impeachment action seems highly likely in 2019, although conviction in the US Senate would be nearly impossible. However, there is a scheduled meeting of right-wing Evangelical leaders with President Trump on June 19, to consider strategy for the midterm elections, as this group is alarmed at the thought that the Trump scandals could cost them the advancement of their religious agenda. It could be, two months from now, that gloom and doom will set in, and cause these pastors and ministers and their allies to consider Trump’s resignation as preferable, as it would bring a “true believer,” Vice President Mike Pence, to the Presidency. One would think behind the scenes that many congressional Republicans and conservatives would clearly prefer Pence, who is religiously devout, and does not have the drama and controversy that Donald Trump constantly presents. With Pence, the right-wing would not lose, but instead gain a great deal of comfort. This makes it conceivable that we’ll see a repeat of history. When Richard Nixon proved toxic in July 1974 a delegation of congressional Republicans marched to the White House to let him know his base of support on Capitol Hill had collapsed. No matter what the future scenario, America is in a constitutional crisis of greater proportions than Watergate, and with the attendant danger of a Great Recession or a third World War, caused by a mentally unstable and highly stressed President. So while it now seems likely that Trump will outlast the 492 days of President Zachary Taylor, to be reached on May 27, 2018, once thought by this scholar to be the end point of the Trump Presidency, it seems evident that Trump will leave office before the 4th shortest Presidency, that of Warren G. Harding from 1921-1923, a total of 881 days. This would be Thursday, June 20, 2019. So with 15 months down in the Trump Presidency, the chance of his leaving in the next 14 months at the most is on the horizon. Ronald L. Feinman is the author of Assassinations, Threats, and the American Presidency: From Andrew Jackson to Barack Obama (Rowman Littlefield Publishers, August 2015). A paperback edition is now available. Live! Teachers in Colorado are taking to the streets today! Pro Labor Alliance Inc. shared a live video. We’re in Denver, Colorado where thousands of teachers walk out of class, rallying over low pay and funding. Author John HannoPosted on April 27, 2018 Categories Education, Health - Happiness, Injustice Anywhere is a Threat to Justice Everywhere, MLK jr, Labor and Working, Politics in America, Today's News?, VeteransLeave a comment on Live! Teachers in Colorado are taking to the streets today! Retrosuburbia: the downshifter’s guide to a resilient future. 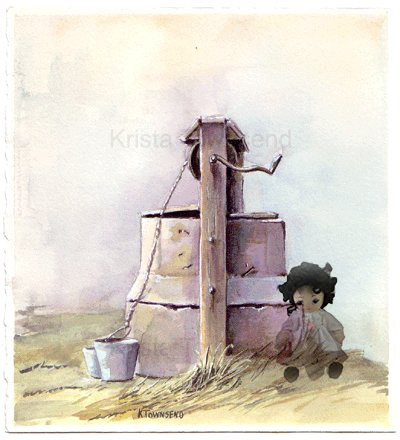 Meliodora Publishing 2018. Available here (UK) or here (elsewhere). Trump began the day with an insane interview on Fox & Friends! Trump began the day with an insane interview on Fox & Friends, and it only got worse from there. Seth takes A Closer Look. Author John HannoPosted on April 27, 2018 April 27, 2018 Categories Education, Labor and Working, Politics in America, Today's News?, VeteransLeave a comment on Trump began the day with an insane interview on Fox & Friends! What “IF” Earth spun twice as fast? What.If added a new episode on Facebook Watch. 12-hour days, 730 days a year. Could you cope with that? Author John HannoPosted on April 27, 2018 April 27, 2018 Categories Education, Environment, Health - Happiness, Labor and Working, Today's News?, VeteransLeave a comment on What “IF” Earth spun twice as fast? Will Greed Be The EPA Leader’s Downfall? Environmentalists weren’t able to block the confirmation of Scott Pruitt as EPA Administrator based on his horrendous record of climate change denial and plundering natural resources. But Pruitt’s growing corruption scandal has given them new hope. 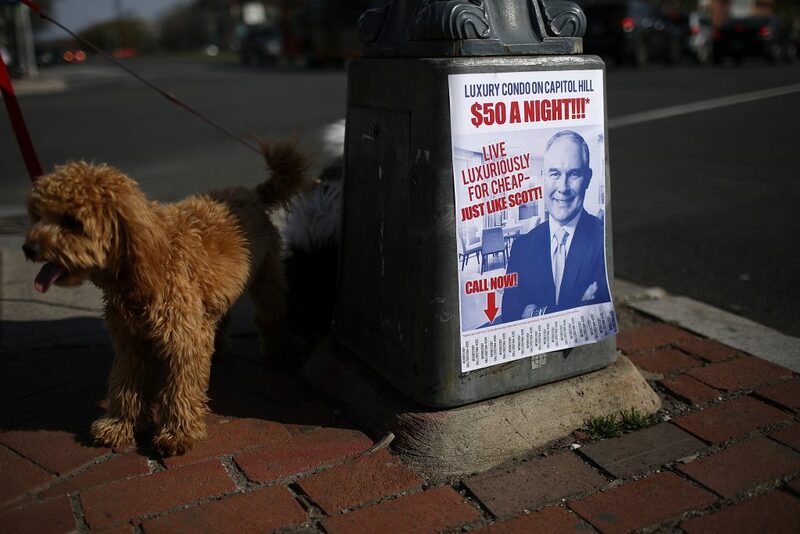 Friends of the Earth has hung hundreds of posters around downtown Washington, D.C. — including in front of the Trump Hotel — mocking Pruitt for getting a deeply discounted deal on a condo he rented from the wife of a fossil fuel lobbyist. On the bottom of the posters are pull tabs listing the phone number for the EPA’s Office of Public Affairs. One scandal that’s generated headlines is a secretive trip Pruitt took to Morocco that cost taxpayers $40,000, which included the tab for two nights in high-end hotels in Paris. What’s gotten less attention is that Pruitt spent part of this trip working to set up export deals for U.S. gas companies — activities that are not at all part of his job as our nation’s top environment protector. The pressure on Pruitt is certainly mounting. On April 18, 39 Senators signed a resolution calling for Pruitt’s resignation — the largest number in history to call for the removal of a cabinet official. On the House side, 131 members signed a similar statement. While no Republicans were among the endorsers, several have also called for Pruitt’s ouster. Last September, the president didn’t show the same loyalty when it came to his Health and Human Services Secretary, Tom Price. After a controversy erupted over what some might consider a less serious spending scandal — his penchant for flying in private jets instead of commercial planes — Price was shown the door. Pruitt’s opponents are still ramping up pressure on the President. In addition to their guerrilla postering, Friends of the Earth joined with the Sierra Club, the NAACP, SEIU, and numerous other groups in running full-page ads calling for Pruitt to resign or be removed. The ads ran in Pruitt’s hometown newspaper, the Oklahoman, as well as two papers President Trump reportedly reads — the DC edition of the New York Times and the New York Post. The “Boot Pruitt” campaign has also run ads on Trump’s favorite TV show — Fox and Friends. Like so many powerful and destructive men before him, it could be Pruitt’s personal greed — rather than the damage he’s inflicted on the world — that ultimately will be his downfall. Author John HannoPosted on April 26, 2018 April 29, 2018 Categories Environment, Health - Happiness, Labor and Working, Politics in America, Today's News?, VeteransLeave a comment on Will Greed Be The EPA Leader’s Downfall? Let the Revolution Begin. Peacefully of Course. shared a video. The Trump tax cuts are rewarding Wells Fargo—the bank that defrauded millions of customers last year—with $3.7 billion. How does that make sense?